First up I want to say sorry if any member experienced any problems last week accessing the site due server problems. These have been dealt with by my team of highly trained I.T. Monkeys (I got them off NASA) who solved what ever the problem was. Adventure Bound Comix's I.T. 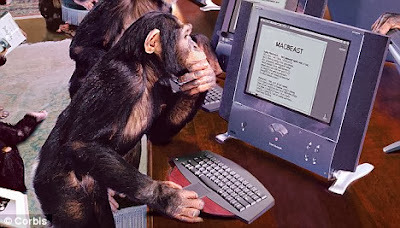 staff working hard to solve our server problem! First this week update we got another excellent five pages of Honey B Amazon Nation as we find out Jet Fate. Also a preview of Vixen project for next year by Yacermino this is exclusive to our site. Seven pages of some excellent new art of Vixen just for you.